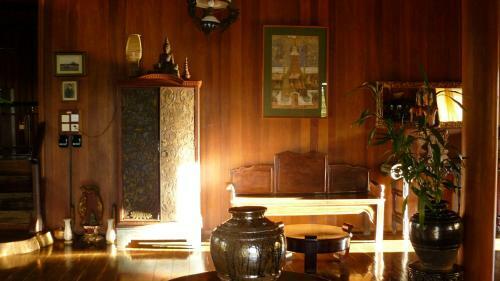 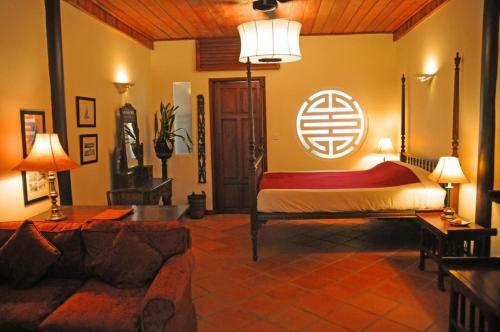 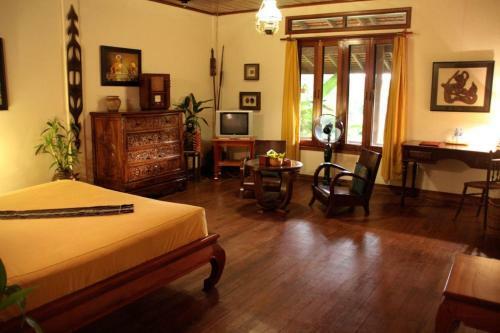 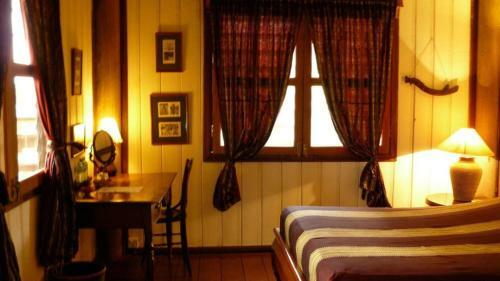 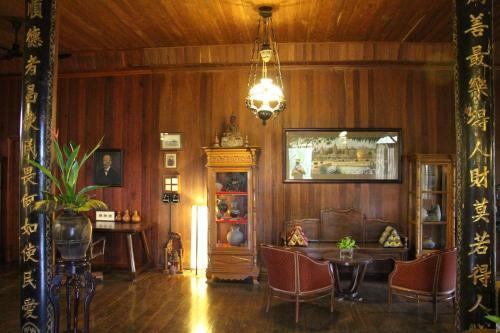 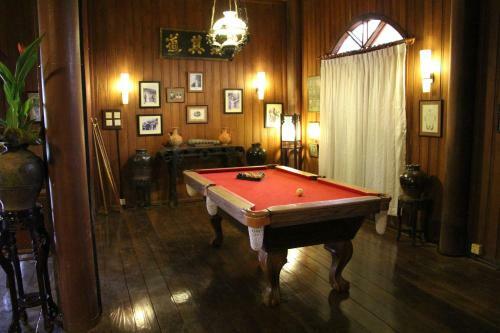 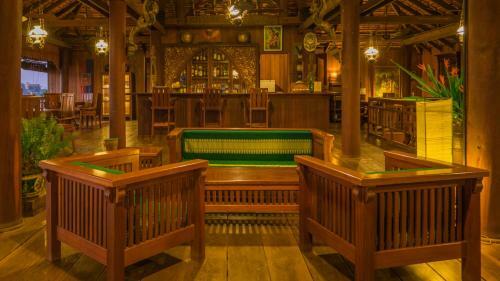 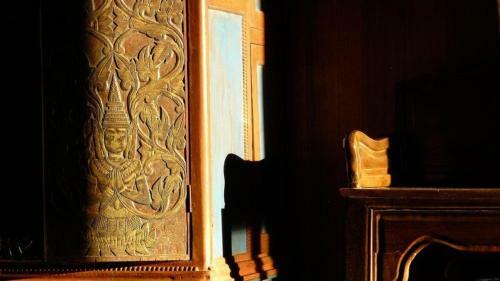 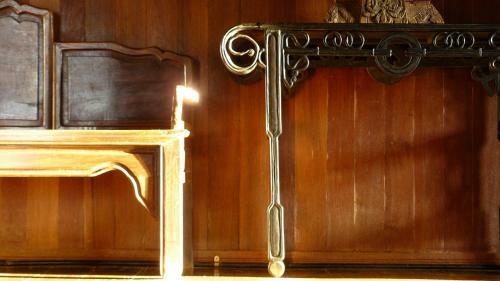 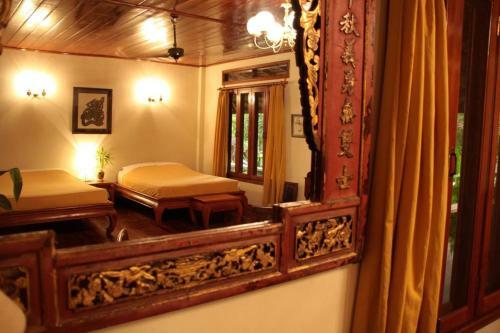 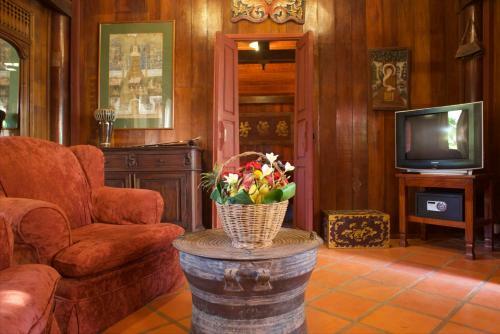 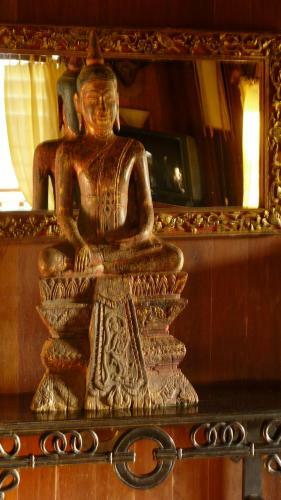 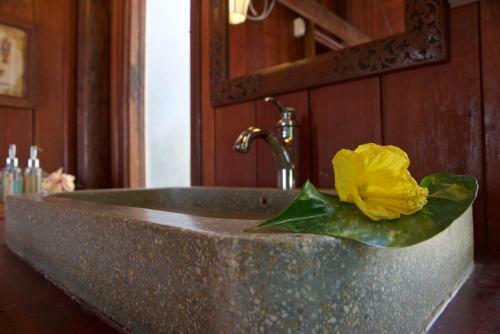 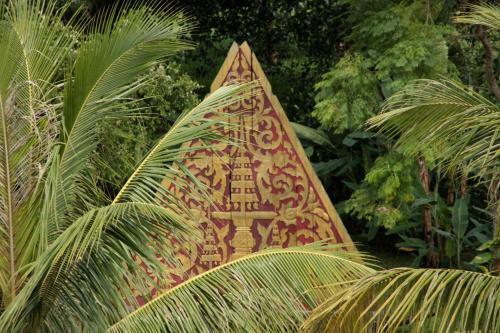 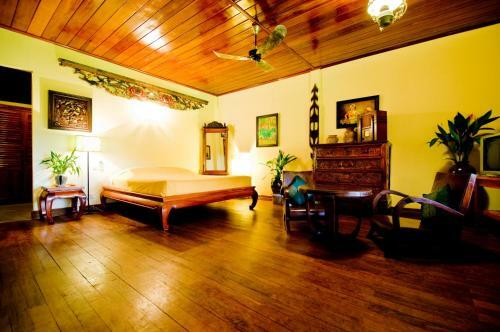 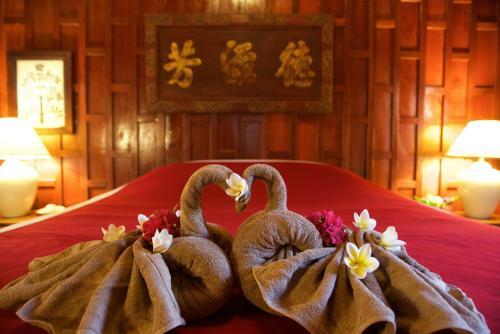 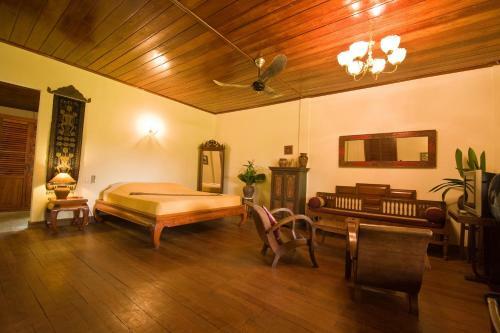 Featuring traditional Khmer designs, the rooms come with a work desk, a seating area, and a safety deposit box. 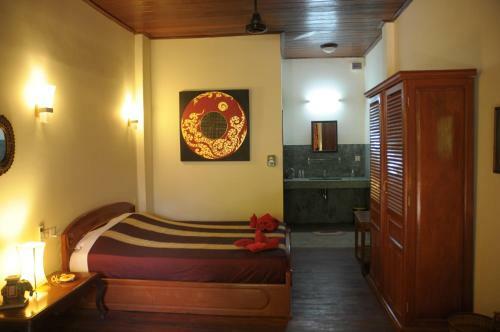 Each room has an en suite bathroom with a bathtub or shower. 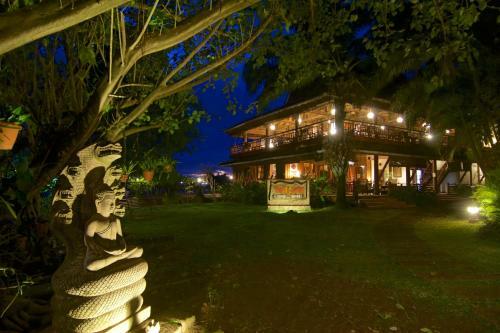 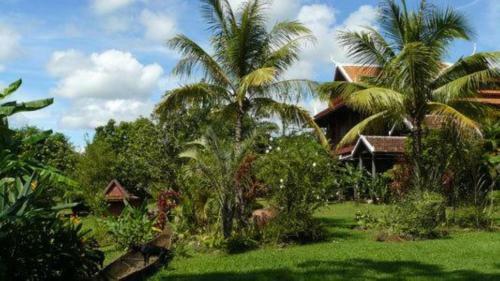 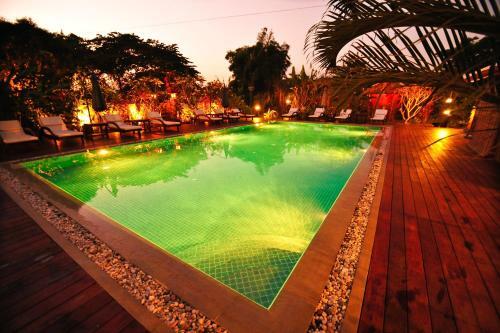 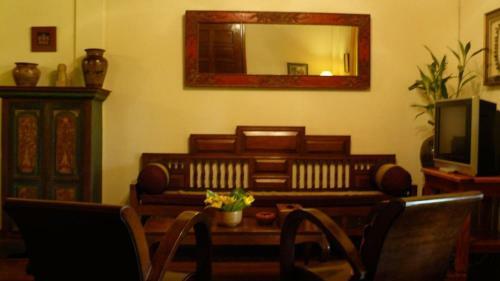 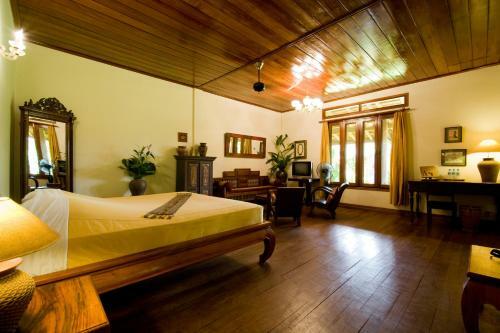 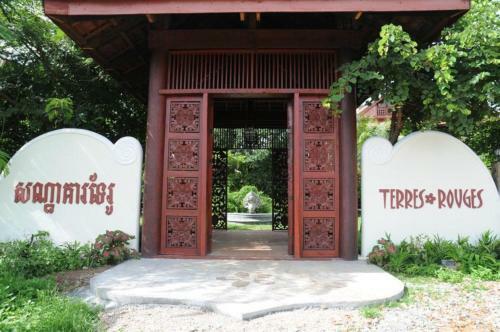 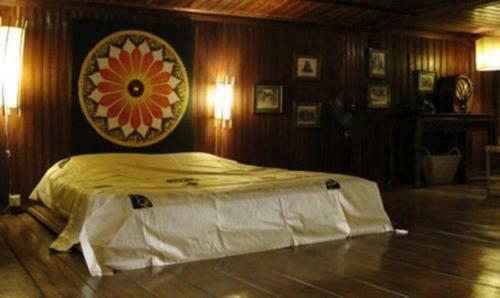 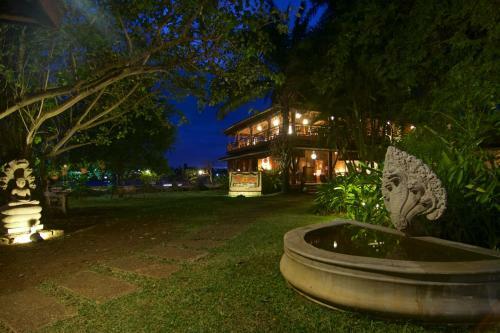 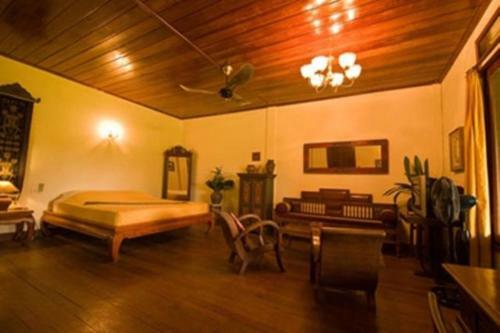 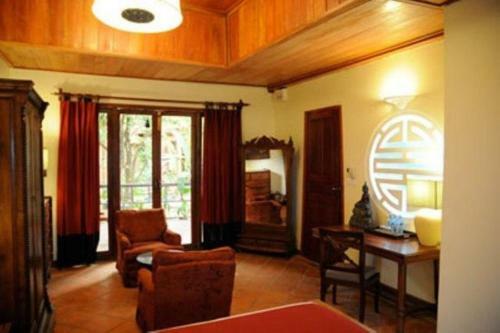 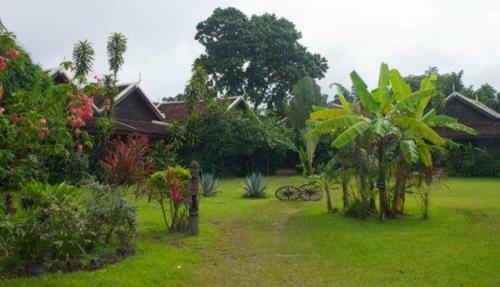 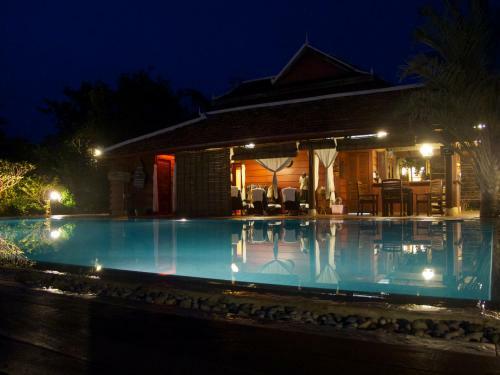 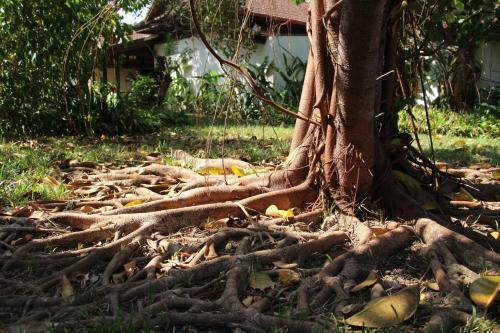 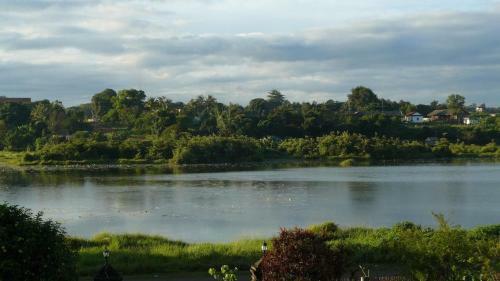 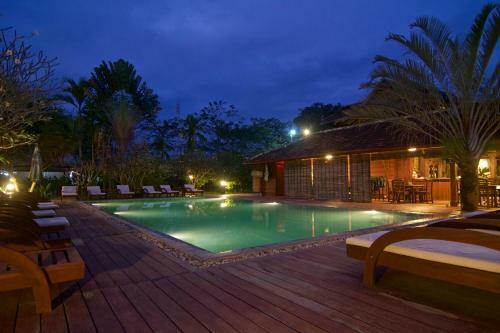 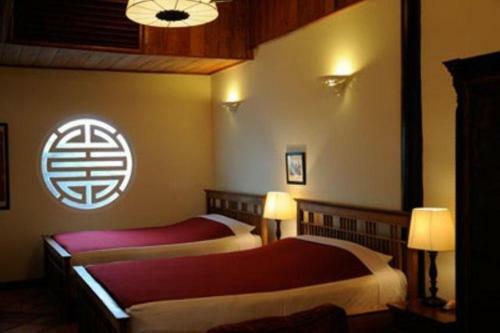 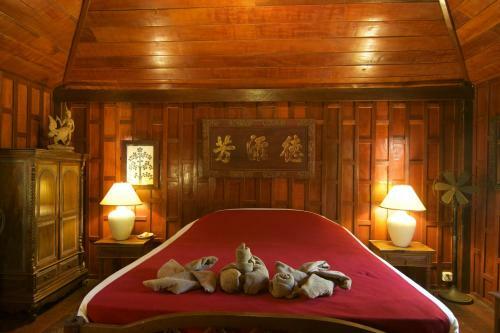 Terres Rouges Lodge is 1.5 km from Banlung Market and 2 km from Soriya Bus Station. 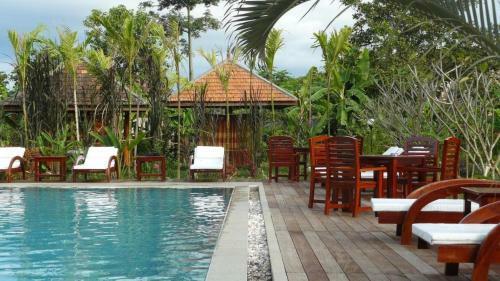 It is a 10-minute drive from Yaklom Lake and Kachang Waterfall. 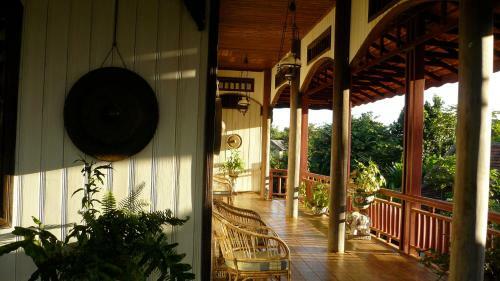 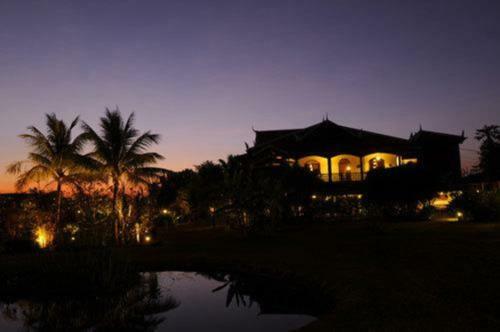 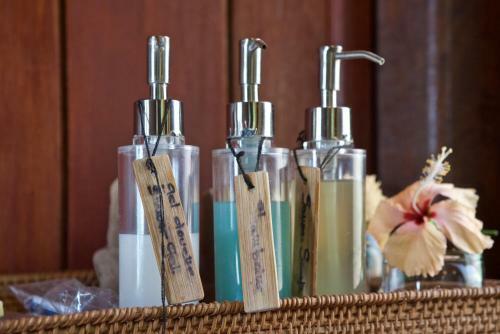 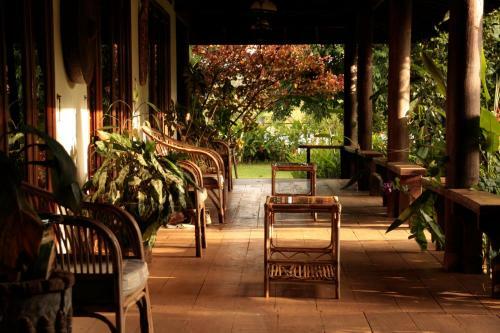 Guests can have a relaxing massage, or relax on the terrace while enjoying the natural scenery. 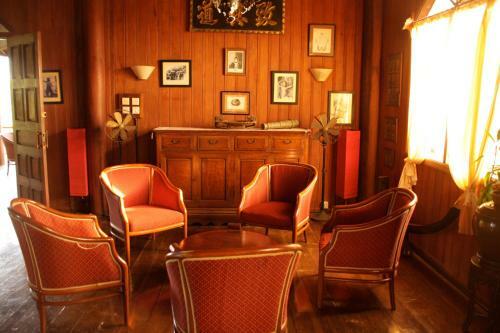 Other facilities include a gift shop, a tour desk, and a 24-hour reception. 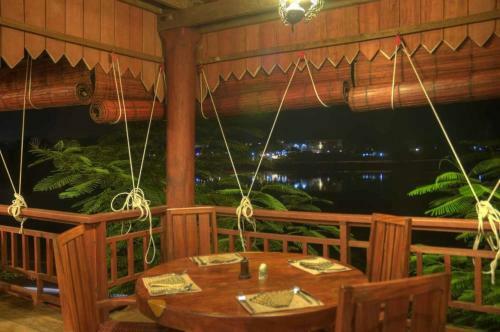 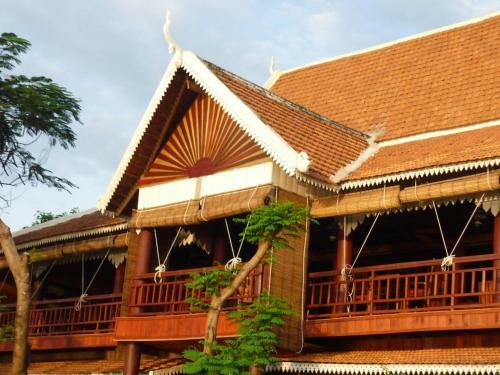 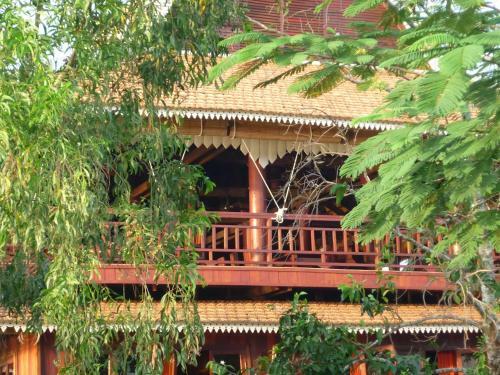 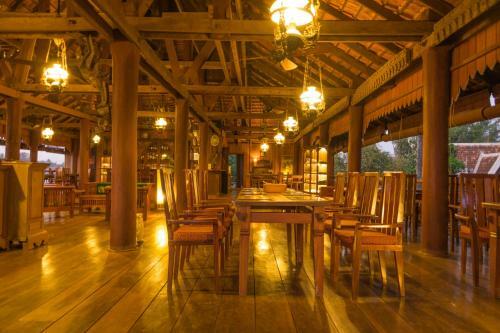 The restaurant serves Khmer cuisine, as well as Chinese and Western dishes. 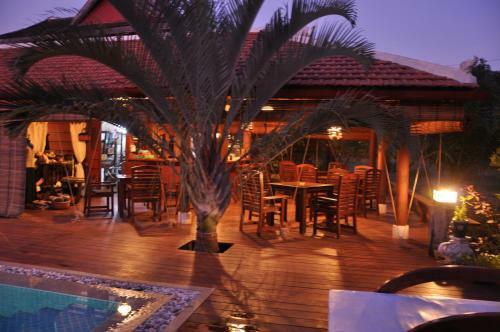 The bar offers a good variety of wines and alcoholic drinks.